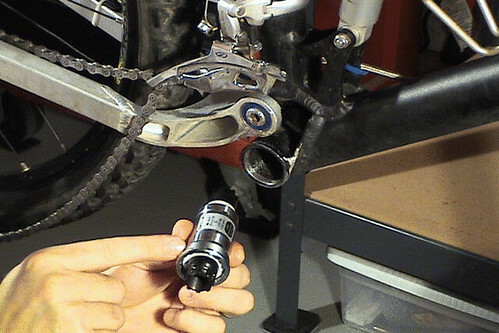 Videobikerepair.com is a Godsend! This is the DVD that the bike shops do not want you to see. I received my DVD from the folks over at Videobikerepair.com and this little fella has made a great impression on me. If you’re anything like me, cheap. Then this is the DVD for you. I couldn’t believe how things that a LBS would charge $15-$30 for can be done within minutes in your own garage. My wife sat down with me and we browsed through the menus and I was just floored on how this DVD takes the mystery out of the intricacies of a complicated piece of machinery, our bikes. This isn’t even my final review of the DVD, but already I’ve been impressed on how well this demonstrates the ease of bicycle mechanics.